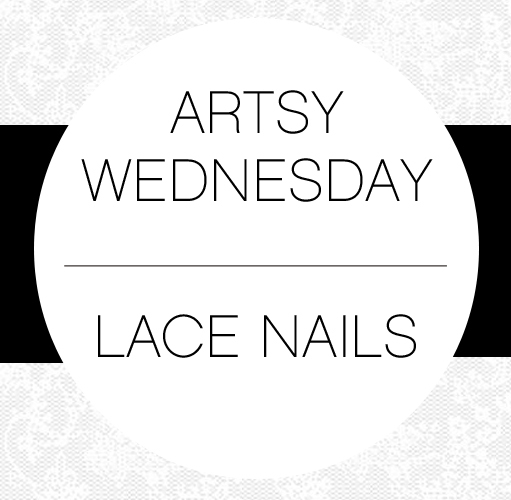 This weeks Artsy Wednesday Post is themed around Lace! Ideally I would have liked to have experiment with actual lace but I simply haven’t had the time! However I remembered that I bought a Konad Nail Kit last year so I quickly dug that out to see if I had any patterns I could use! I’m not very good with the whole stamping thing to be honest, and the amount of time I spent stamping tonight, I honestly think I could have hand painted the patterns twice in that time hehe! Oh well practice makes perfect! 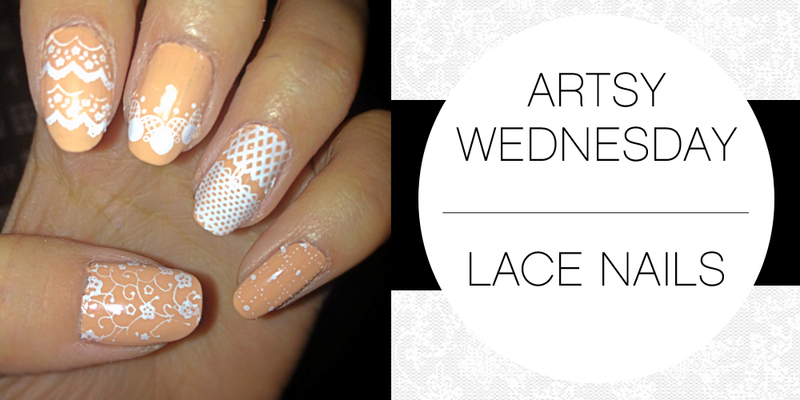 Tags: Artsy Wednesday, Beauty, LACE, Nail Art, nail designs, nailpolish. Bookmark the permalink. 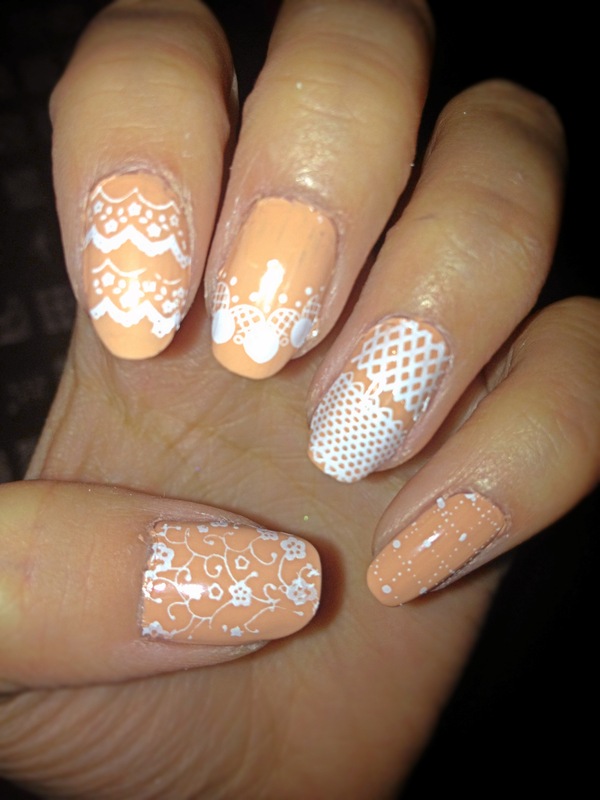 Wow, you have heaps of lace stamps! I somehow have none? Stamping definitely gets easier the more you do it, it’s super quick for me now but it used to take me HOURS.